Far Western is a feature documentary film that tells the phenomenal story of the transplant of American country music to post-World War II Japan. Nearly 70 years later, for a devoted group the music has become a lifelong obsession. Part music history and part character portrait, Far Western is told through the lives of musicians, fans, and live-music venue owners. Set both in modern Japan and the American South, the film explores the uncanny ability of a simple form of music to cross geographic and language barriers, forming a strange cultural bridge between the two countries. Now, these Japanese musicians have made their own pilgrimages back to America, to the birthplace of the music, playing in honky-tonks and festivals in America. In 2007 I was working in Japan producing a ten-city tour, live-concert film for an American bluegrass band. The tour was planned through the U.S. Embassy Office of Cultural Affairs which had arranged for us to meet a Japanese musician named Masuo Sasabe, an excellent guitar player and singer. He introduced me to Juta Sagai, who introduced us to the legendary Ozaki Brothers and it continued to spread out from there. They took us to the Rockytop, a tiny honky-tonk in the famous Ginza District of Tokyo. The walls were layered with decades of photos, concert posters and Western kitsch. The musicians were excellent and their knowledge of western music history was amazing. We found the Nashville Club, then the Lonestar Club, and then Petticoat Lane—where an older Japanese man told me through a translator that he’d instructed his wife to bury him in his cowboy boots. Then I knew we needed to get back to Japan and make this film! Our first trip we filmed a week in the Tokyo-Yokohama area, and on the second trip we visited Charlie Nagatani at his International Country Gold Festival in Kumamoto. Through these trips we’ve met a great community that has kindly helped us tell this story. It was in the early years immediately following the World War II, during the occupation of Japan by the U.S. forces, that Western influences began to dramatically change Japanese popular culture. The Far East Network (FEN), established just after WWII played a big part. This radio station which was established to broadcast American content to soldiers stationed in Japan became increasingly popular with a far larger "ghost audience" of young Japanese. The simple, curious sounds of the West drew in a Japanese audience, disillusioned with their parents’ culture and the restrictions of the old Japanese society. While there were similarities to Japanese styles of folk music in some way Western music sounded wholly new and foreign. For Japanese musicians the music provided a means of income and adventure, traveling and playing the military bases in Japan and the Freedom Ports of Thailand, the Philippines, and South Korea. While country music shows like The Grand Old Opry and Louisiana Hayride dominated the U.S. airwaves, FEN broadcast the same programs in Japan. Western music in Japan would play in parallel to their North American counter part as folk, hillbilly, western swing, bluegrass, country & western, rockabilly, and rock-n-roll came of age. 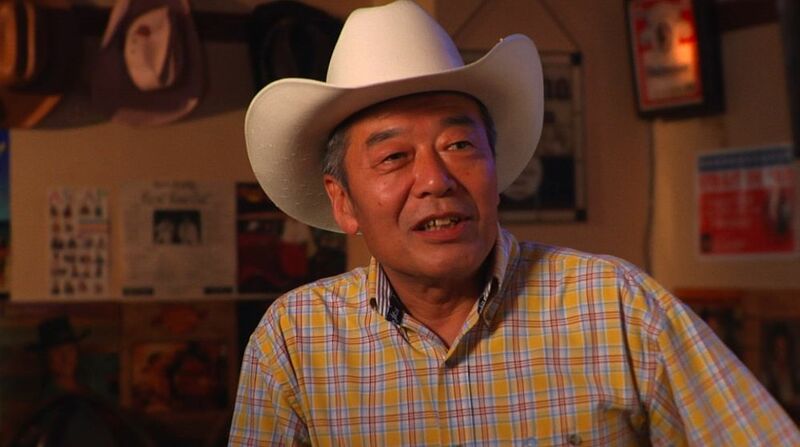 Charlie Nagatani - Owner of a country and western honky-tonk in Kumomoto, Japan. He’s 80 years old and he and his house band, ‘The Canonballs’ play over 300 shows a year! He’s the creator of the International Country Gold Festival which has run for 25 years hosting American entertainers such as Bill Monroe, Emmylou Harris, Dwight Yoakam, Porter Wagner and The Dixie Chicks. Charlie is Japan’s ambassador of country music. He’s been a guest at the White House and played the Grand Old Opry nearly 20 times. 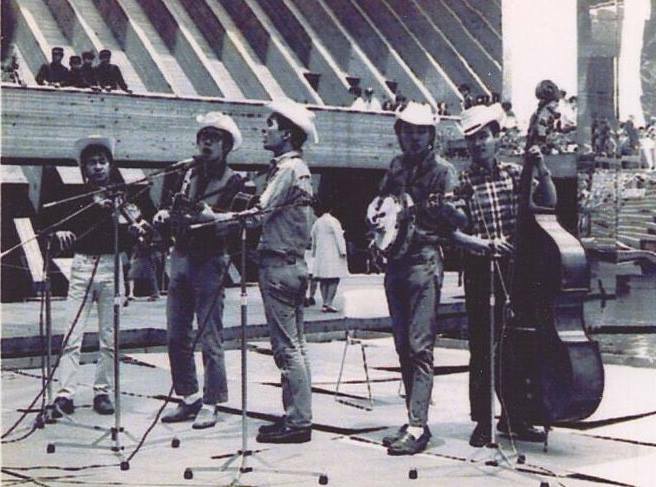 The Ozaki Bros. - Hisashi and Yasushi Ozaki are credited for forming the first bluegrass band in Japan. 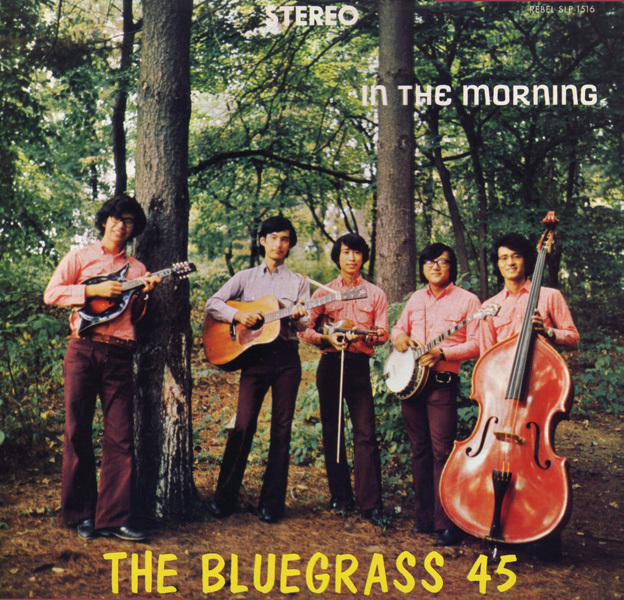 The were the first Japanese to be inducted to the International Bluegrass Music Association Hall of Fame. Their story links us to World War II, where they first learned traditional American songs illegally, despite the Japanese ban on American cultural media. Masuo Sasabe and Blueside of Lonesome - Sasabe’s father was a master of a traditional Japanese style of folk music. At 15 years of age he heard traditional American music. He was struck by a similarity and figured folk music from around the world must be the same. Since 1974, he’s journeyed back to the source in America yearly to play bluegrass festivals and honky-tonks. 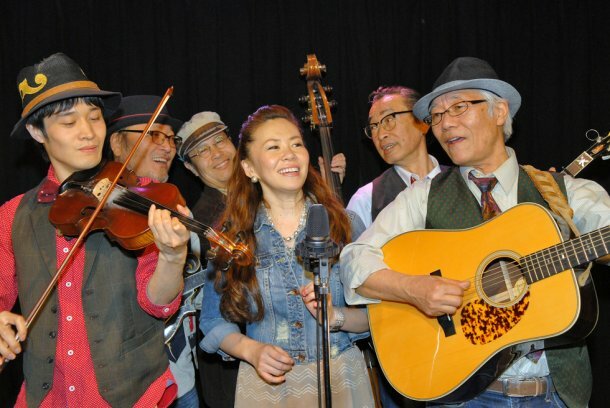 His band Blueside of Lonesome, with an all-star lineup, is now one of the most popular traditional Americana acts in Japan. 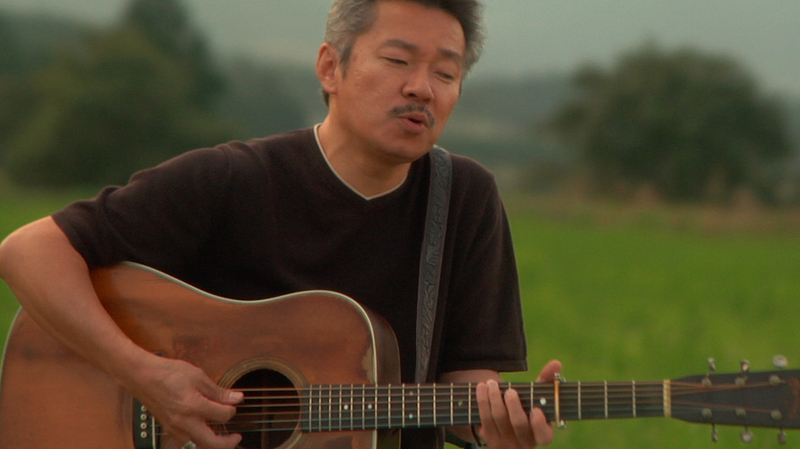 Juta Sagai - Sagai is a devotee of Jimmie Rodgers and Woody Guthrie and a key figure in Japan’s bluegrass history. His band The Briars, are a popular act in the festival and live venue circuit in Japan. The Briars features a phenomenal 23-year-old female banjo player! Miya and Shintaro Ishida - Shintaro Ishida was a legendary country & western steel player in some of Japan’s most influential country & western bands. Like Charlie Nagatani and the Ozaki Brothers he learned to play in American military bases and from the Far East Network radio broadcasts. His daughter Miya has continued the tradition as the next generation while balancing motherhood and her dream of being a country music entertainer. Kazuhiro Inaba - Like Sagai and Sasabe, Inaba is a second generation Baby Boomer. His father loved Hank Sr. and true to his roots he plays a combination of hillbilly, western swing and bluegrass. He plays a packed scheduled both in Japan and the States and runs a music school that teaches traditional American instruments. In the 70’s Inaba began making trips to America to experience the music in it’s birthplace. Toru Mitsui - Mitsui is the foremost musicologist on American country music in Japan. As a young man his music world was forever changed by the release of Harry Smith’s classic: Anthology of American Folk Music. He became fascinated with the early British and Irish folk ballads. In 1967 he wrote what some have called the first study of bluegrass, Burugurasu Ongaku (Bluegrass Music), and his 1971 Kantori Ongaku no Rekishi (A History of Country Music) became the key reference to the early history. In the late 80’s he went on a quest to America to find the origin and author of what George Jones called the most perfect song every written, “You Are My Sunshine." Mitsui has released a double album of songs recorded in his youth during the early-to-mid 60’s that includes tracks from traditional Scottish ballads to Woody Guthrie to Leadbelly. Sign up with your email address to receive Far Western news and updates. We hate spam as much as you. We promise to only send you important updates for our film and will never share your information.